This week Eyestorm presents four new paintings by one of our most popular artists of recent years - Lucie Bennett. We’ve had the privilege of working with Bennett for over a decade releasing a number of exclusive print editions, paintings, and neon artworks that represent the exciting development of Bennett’s practice, and an increasing demand for her work. “I loved how Sherman investigated female identities in this way…to create an anonymous female self is an interesting way to explore what perceived femininity is” - Lucie Bennett. Similar to Sherman, Bennett’s works are an exploration of female identity. In previous series she has considered this through her depiction of reversed stereotypes - such as ‘Front’ where women are dressed in men’s army uniforms, or Wonderland where women are shown as wild animals armed with weaponry in the jungle - the hunted becoming the hunter. 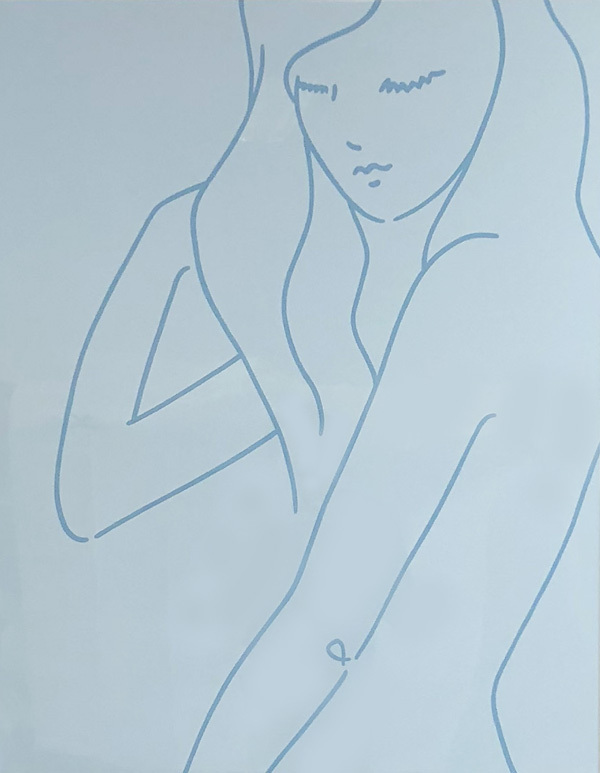 Bennett has also explored female identity through ideas around women as Mother Nature - creating images that incorporate plant imagery and the female body, often blurring the line between them. Across her extensive oeuvre Bennett balances graceful feminine forms, with strength and confidence, not allowing us to see her figures within a single gender stereotype. In these four new paintings, Bennett has approached her female subjects from yet another unique angle. Here, she is particularly interested in portraying a softer, more personal image of her women. She subtly moves away from her previous depictions of women as anonymous, and instead inserts a sense of personality in her subjects, creating a more intimate relationship with the viewer. She achieves this by moving the focus from her subject’s bodies to their facial expressions. Each has a quiet but powerful expression, eyes pointed downwards as if caught in a moment of deep thought. 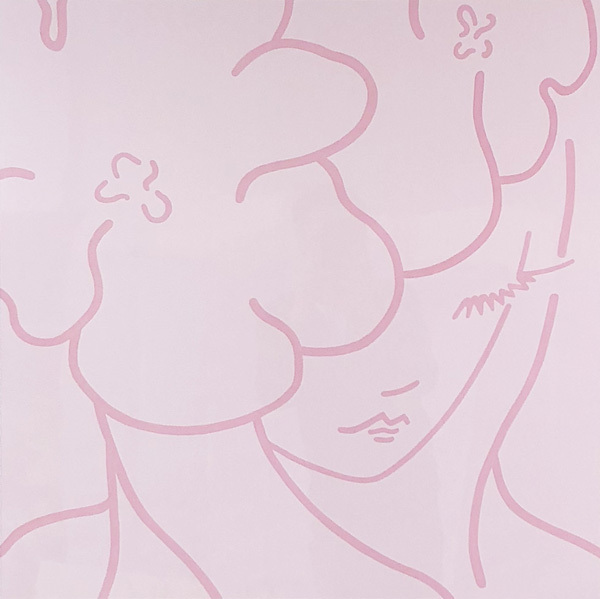 The velvet-like smooth finish of the paintings is created using gloss enamel oil paint on aluminium panels and further enhances the sense of sensual mystique in the women’s subtle expressions. The characters and the visual style of manga animation films and graphic novels were of particular inspiration to Bennett in this series. The main female characters such as those seen in Spirited Away and Nausicaa (films by Studio Ghibli) are powerful representations of female protagonists who exude confidence and spiritual strength as well as retaining a sense of soft, tender femininity. Similarly, through these paintings Bennett is trying to portray a careful balance between the different aspects of the female persona. This is illustrated through her unique use of colour throughout the four new works. While three of the paintings are painted in almost monochromatic colour schemes using soft pastels of violet, blue, and pink, Autumn stands out through the colourful pops of red and orange in her hair and lips, giving her a stronger, super-heroine personality. The more subtle hues used in Violet, Cornflower and Peony make these figures appear more recessed and dream-like in quality - though perhaps there is a certain spirit and strength hidden under that soft façade? In any event, these delicate contrasts are intriguing. 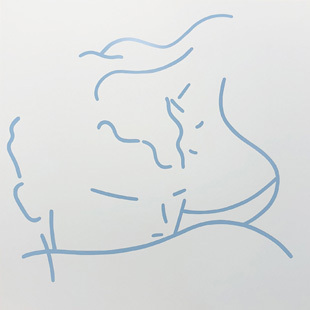 As with previous works, Bennett’s paintings are formed by lines drawn with elegant simplicity, conveying beauty, intimacy and personality through just line, form and colour. 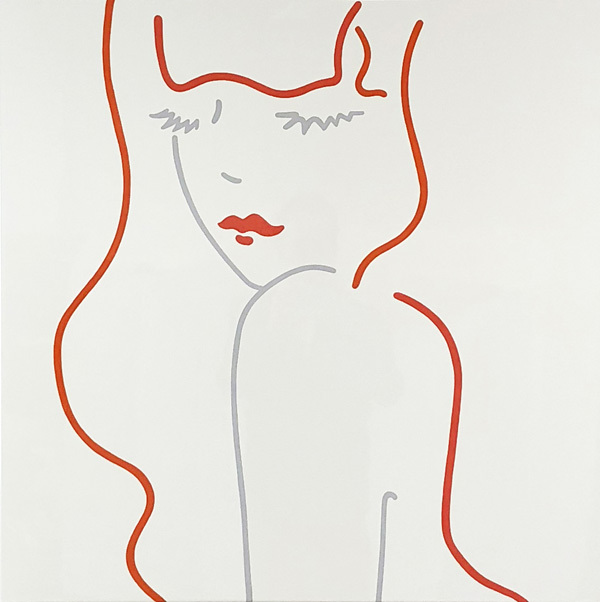 Each mark painted meticulously with a fine paintbrush, she uses just enough detail to make out the beautiful flowing hair, pointed eyelashes and body language of her figures, suggestively hinting at their individual identity and story. Yet, these paintings are just a snapshot of that story, and plenty is left up to the viewer to interpret. In this way, Bennett’s paintings are full of unanswered questions and mystery - a unique quality that will keep us coming back for more. You can read more about Lucie Bennett and see the four new paintings in more detail on her artist page here.